Have you ever wanted something so badly but couldn’t obtain it for whatever reason? For example, in the beginning of 2019, many people made a commitment to go to the gym because they had the desire to lose weight and get in shape. However, many people that started with their commitment did not finish. The New Year excitement diminished and the routine of everyday life took over. This is why anything that a person is trying to accomplish in life, must be done with consistent effort. Consistency is expected in just about every field in life. For example, a business expects their employees to remain consistent when it comes to good work performance. Businesses also expect their employees to be consistent in taking good care of their customers. A great athlete and team has to consistently win on the playing field. Women and men expect to be loved and dated with consistency in their relationship. 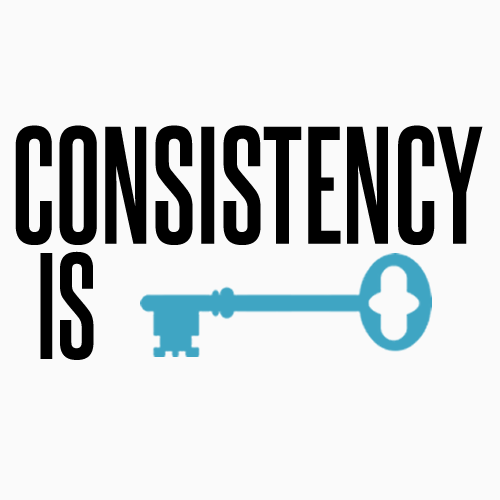 Consistency is something that we all want in life but we fail to put in consistent effort. In order to have consistency, consider the following. Do something everyday. Never let a day go by when you don’t do anything that will lead you to your goal. How serious are you? If you truly desire something, then go after it. Results come with consistency. You will not see any results or reach any goals without it. Previous Post New Year! New Goals! What Do You Want In 2019? I posted a humorous? piece on making and keeping resolutions after Jan 1. Called it Irresolute. But really, to maintain a path requires patience and persistence – and also the intelligence to choose a right path that suits you. Anyhow, I think it’s still important to just be yourself. I think on that post I threw in Roll in My Sweet Baby’s Arms.